Yesterday, Andrea Fraser’s retrospective at the Museum der Moderne in Salzburg opened – so if you find yourself in the vicinity, be aware that there’s more to Salzburg than Mozart’s Birthplace and Sound of Music city tours! The catalogue will feature essays by Andrea, Shannon Jackson, and myself. My text “Andrea Fraser: Institutional Analysis” focuses on the role(s) of performance, collaboration and group dynamics in her work. I’m happy with the text, and it seems as though this publication will be quite substantial. It is now just about to enter the design stage and should become available in June. 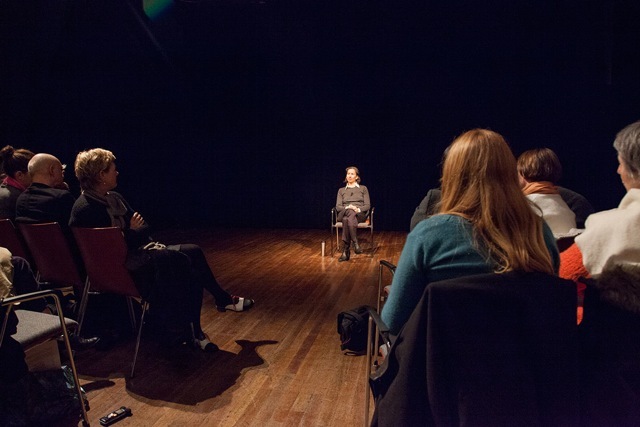 Image: Andrea Fraser, Men on the Line at the Balie in Amsterdam, 2014 (co-organized by If I Can’t Dance and Casco).